As we know—and have probably lived—the library industry has been transitioning toward a primarily digital existence: this has profoundly changed the responsibilities of librarians and is starting to change the purpose of the actual, physical library. Giant buildings holding vast inventories of books have given way to desktops holding computers connected to distant, remote servers; because of this, a profession centered on managing a physical collection has shifted toward managing digital resources. Despite the establishment of this new dynamic, librarianship still has a crisis of perception because it’s a profession—like teachers and schools, doctors and hospitals—tied to the image of its building: what is a librarian without a library? 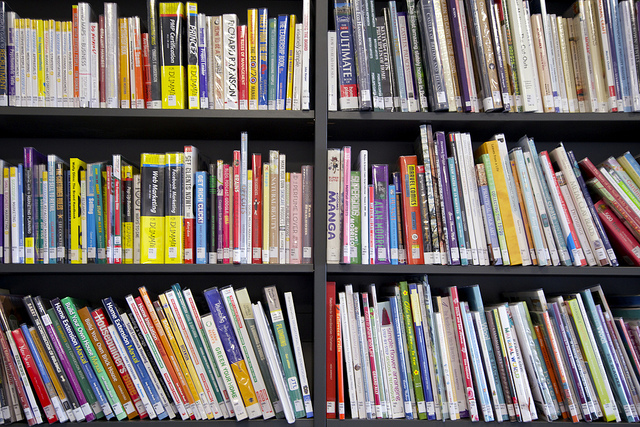 How has the profession evolved in the digital world, where there are no physical libraries? And, what should be done with all that library space? Those in the actual profession have become “embedded librarians.” This is admittedly reductive to what the term has grown to mean (a more detailed definition can be had by reading The Embedded Librarian, by David Schumaker, Barbara I. Dewey’s article “The Embedded Librarian”, and Vicenç Feliú and Helen Frazer’s embedded-law-librarian-focused paper Embedded Librarians: Teaching Research as a Lawyering Skill, among other excellent works) but an embedded librarian is a library professional who still performs the duties of a librarian, but does not necessarily work inside a physical library. The librarian is physically “embedded” among their patron-base. A librarian working at a law firm, for example, works in an office right alongside the lawyers, paralegals, and staff who typically submit reference questions to them; other duties, beyond answering reference questions, include managing information resources, negotiating with vendors, conducting presentations on library research resources, etc. Though there may or may not be a physical library, the building is no longer central to the profession. How are these concepts impacting law libraries, specifically? Yamri Taddese of Law Times reports on how Canadian district and county law libraries are right at the tipping point of their shift away from a physical-resource based profession and towards digital. The law libraries of Ontario are going to be up for a review for the first time in 15 years, Taddese reports; the goal of this review will be to modernize these libraries. This will usher in a modernization of librarian responsibilities as well, Taddese reports; librarian responsibilities will move toward practice management support, information management, and competitive intelligence—duties that are much more in line with those of an embedded librarian. Rather than being a steward of physical resources, the librarian becomes an expert in electronic information sources. So, after defining the terms of this new librarian, the next question becomes: since the profession has evolved in a manner that makes the library building less essential, what should be done with all that library space? Taddese’s article states Ontario law libraries are still particularly indispensable to solo practitioners and smaller firms, due to the library’s ability to pool information resources; providing access to Westlaw and Lexis still gets patrons physically in the door. But, the article also suggests converting library space into remote lawyer offices at the courthouse—prime real estate for the practicing trial attorney. Viewing this from the perspective of the academic law library, Sonal Desai, in an essay written for the University of Washington’s Information School, suggests converting law library space into practice incubators. A practice incubator is really designed for attorneys fresh out of law school and practicing as solos or in small firms, a middle ground, or, as Desai writes, a “a bridge to ease the transition from law school to law practice”. In this model, law school library space would be converted into attorney offices, and law librarians would be enlisted to help in an embedded role by teaching legal research, providing reference and research assistance, coordinating CLE or small/solo firm-specific workshops, determining information sources and vendors, and negotiating with vendors, among other responsibilities. Again, the building becomes re-purposed, but the librarian still remains essential. Law librarians and libraries are trending towards a solely digital existence; this has necessarily changed the responsibilities of the librarian and the role of the library. The importance of a librarian is no longer determined by the existence of a physical library. Librarians are now embedded professionals, working right in the field, alongside their patron-base. Physical libraries are now digital collections, collections that still must be curated and managed, but now from a computer rather than physically. And, we can see this change occurring at all levels of law librarianship: Taddese’s article shows the transition happening at state-and-county law library levels, and Desai’s paper details how this could be incorporated into academic law libraries. As a law firm librarian, I can report that embedded librarianship is the new normal for my colleagues and I, and would assume this is the case for all of those in big-law, multi-remote-office firms. Now that the reality of the profession has changed, one of the present challenges in the industry is marketing and image-related: being a librarian without a library may be normal to us librarians, but, again, this is an industry whose public perception is tied to the image of its building. Is this something librarians should get in front of, by promoting what their new responsibilities are in a library-less world? Or, is this something that will happen gradually, as more and more people become accustomed to the librarian profession not being directly linked to a physical library? Or, is this a conflation of terms, as the word “librarian” fades out in favor of Knowledge Management, Competitive Intelligence, or other titles that bisect librarian responsibilities?